The TechLine plates feature a brushed or semi-polished finish in three standard sizes. A CerMark Metal Marking Solution was applied on the bare metal in a smooth even coat. The CerMark dried to the touch in 20 minutes. The job was engraved at 30% speed, 100% power on a 35 watt laser system. After engraving, the un-engraved CerMark was washed off with water and the TechLine plate was dried with a towel. 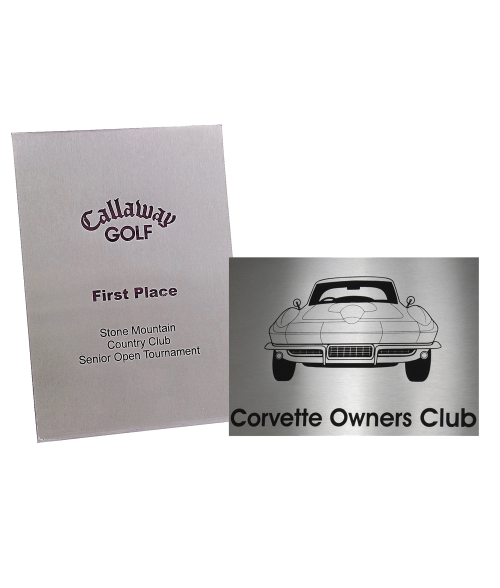 The result was detailed engraving permanently bonded to the metal.